ID Management Systems are the main UK distributor for Nisca products and have led the plastic card industry with reliable card printers that produce the industry's best direct to card 24 bit colour and 256 greyscale cards. Today, Nisca continues that leadership with simple to integrate smart card contact IC and contactless memory encoders as well as industry-leading security holography and security inks. We pride ourselves in being able to offer diverse technological options, suitable for an extensive range of applications; the Nisca range is able to offer this and more. Our Nisca products are available as Single Sided and Double Sided models, including countless variable features (Magstripe and Smartcard Encoding, Edge to Edge and Barcode Printing). These products are ideal for those who wish to print in mid to high level volumes; many models contained on this page print up to or in excess of 10,000 cards per year. Provided with each printer is free Cardpresso XS software, worth £34.49. In regards to the printing of basic ID Cards, this software enables the user to do everything they require, also giving the user access to predefined templates for basic card designs. Should you require access to addition software capabilities however, check out our Cardpresso Range and Software Datasheet. 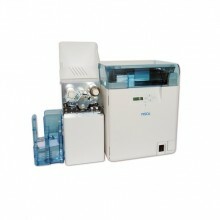 All models are provided with at least a 2 year manufacturing warranty. Along the right hand side of these product listings are compatible consumables and products, such as ID cards, printer ribbons and cleaning kits, that will make it easier for you to determine what products you may require with your purchase. Subsequently 1994, NISCA has been the ID card printers’ manufacturer that are well known for superior 24-bit 300 dpi image quality and extreme reliability. The company’s PR53xx Series features a integrated design format with elements such as micro text formatting, UV printing competences, Magnetic Stripe encoding, lamination, and Smart Card features. So with NISCA ID card printers you can build a fully customized ID card issuance program from a simple, yet strong and secure platform. NiSCA’s PR-C101, on the other hand, provides an entry-level ID card printer that you can easily make use of, even right out of the box. 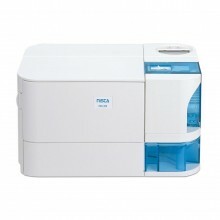 NISCA ID card printers are all affordable, reliable, high quality output plastic ID card printers that secure identity solutions for all association, markets, business, and applications. 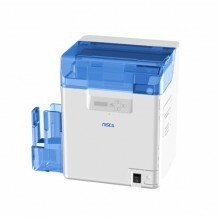 Nisca ID card printers produces excellent, true-to-life 24-bit images. 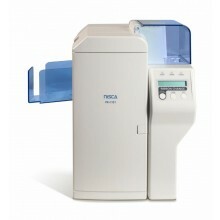 With Nisca ID card printers you are allowed to print two point font text on your ID cards.